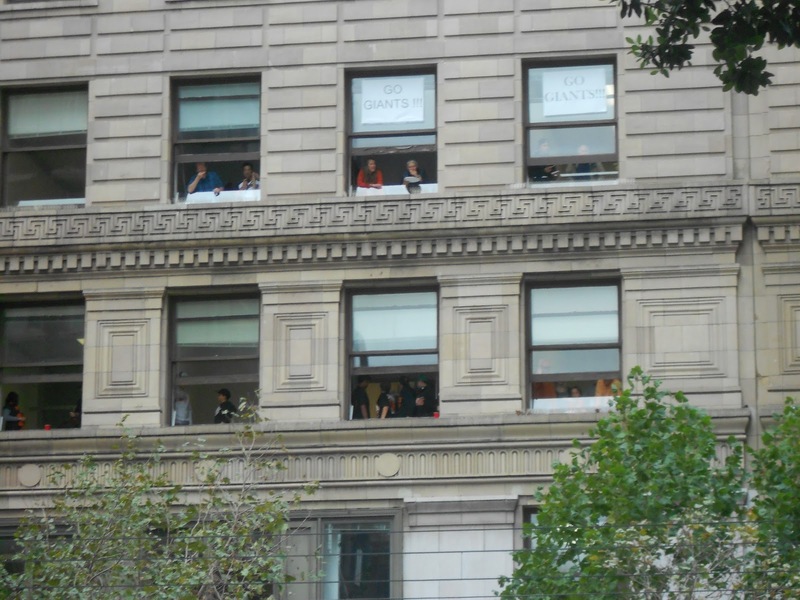 Yesterday was the parade to celebrate the San Francisco Giants winning the world series over the Detroit Tigers. 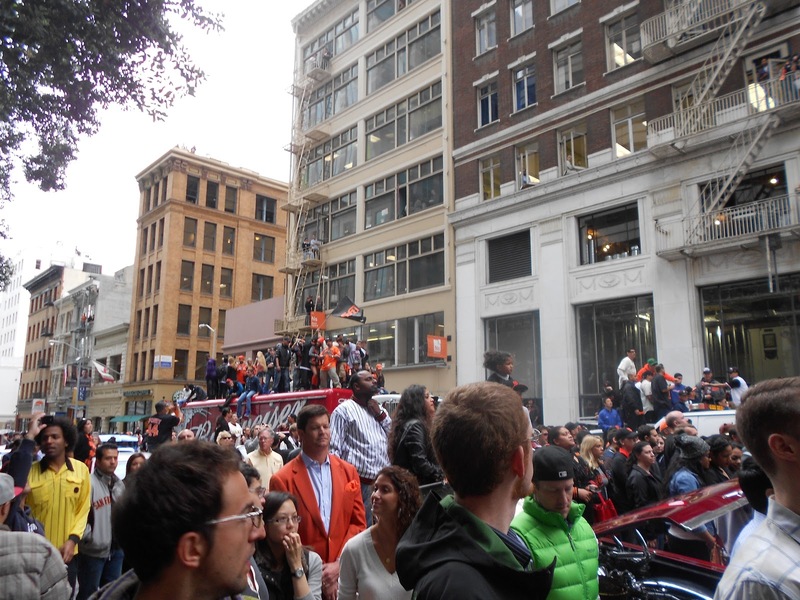 There were a million people there to watch, and it was all happening only two blocks away from my work. 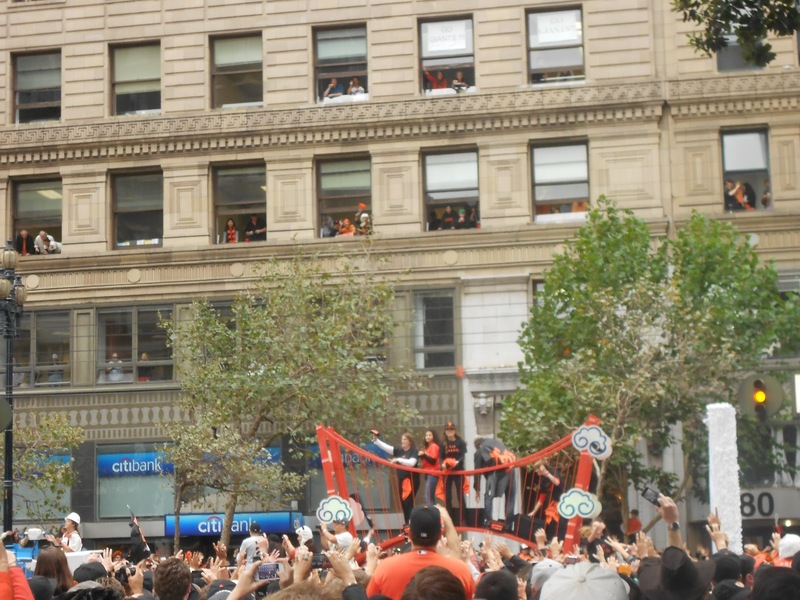 Even though baseball is definitely not my favourite sport (no body contact, the longest games everrrrrrr) it was still really neat to be here when the whole city was going absolutely nuts for their team. 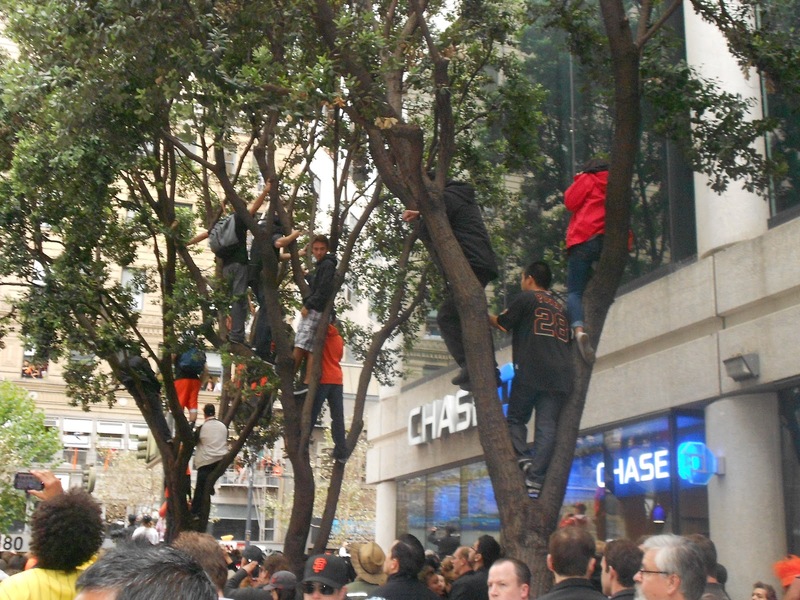 There were people waiting on Market St. since 6am to get a good spot, and there were people hanging out of buildings, and climbing trees and light posts to catch a glimpse of the players. That’s one of the great things about sports. 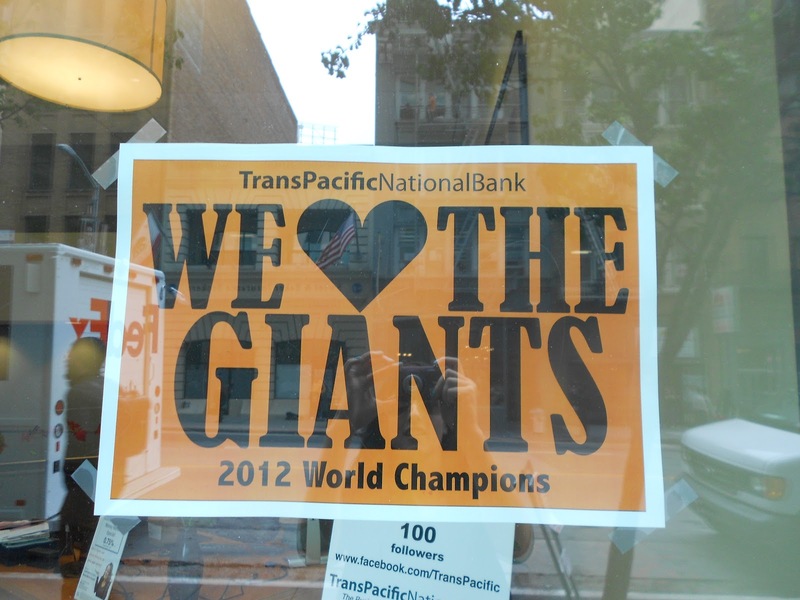 Even the sports I do like, I generally won’t watch every game. I love watching hockey games live, there is such a great energy, and hockey rinks always smell like home to me, but I wouldn’t sit at home on the couch and watch every single game on TV. Still, every year come playoff time it gets very exciting. All of a sudden there is a buzz in the air, and instead of just being a string of unrelated events (even though they really aren’t) every game is more exciting than the last and you can actually see the end in sight, and watch the teams fight it out to get there. Random strangers on the street become best friends, united by a common cause, and a common logo on their chests. It seems like there aren’t a lot of things anymore than can unite a massive group of people in such a fun, positive way. Plus the wings and beer don’t hurt either. So congratulations to the Giants on the World Series, and on having Brian Wilson, because he is awesome and so is his beard.